Seoul is a mecca for all things food and drink related. Whether you’re looking for traditional Korean cuisine or modern twists on worldly dishes, you can find anything and everything in this South Korean metropolis. 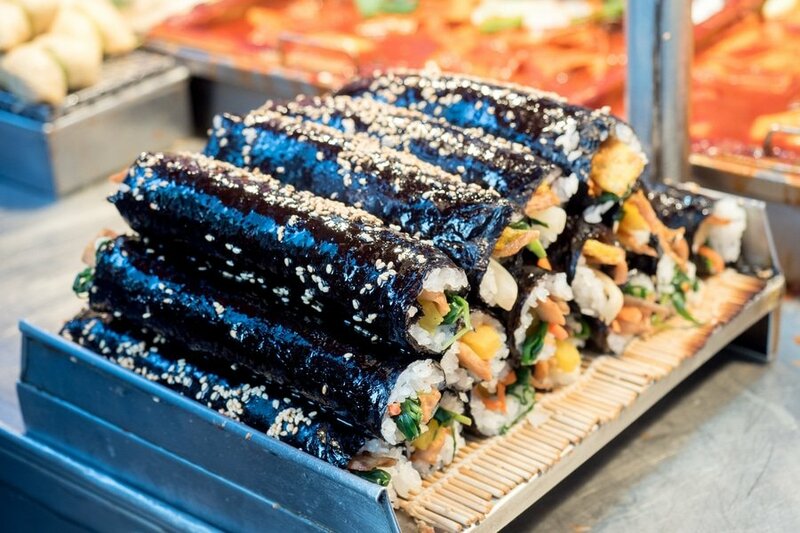 To experience the true taste of South Korea, the following are the top seven foods in Seoul that cannot be missed while visiting this bustling city. Probably the most well-known Korean dish, this hearty dish of pork or beef is cooked table-side and served with traditional side dishes or ‘banchan’. BBQ restaurants are easy to spot and scattered throughout the city. It is best eaten with a group of friends while drinking Korean soju (the most popular Korean liquor)! 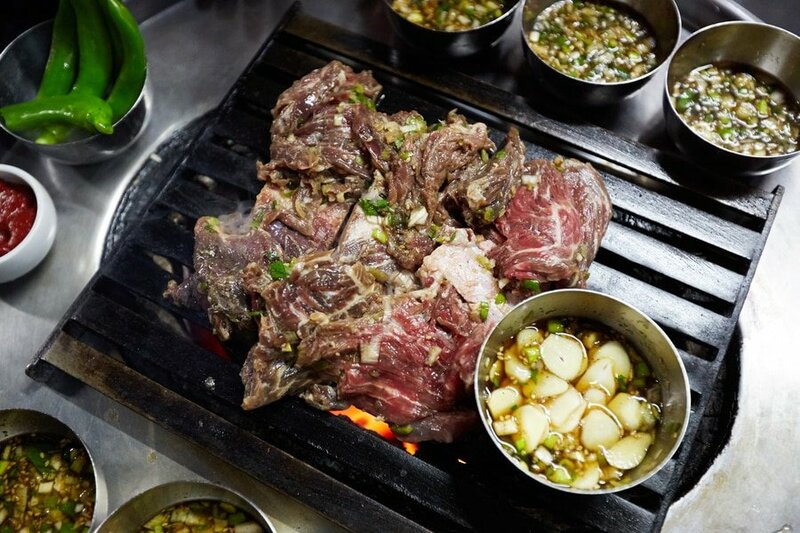 Where to eat Korean BBQ in Seoul: try Braai Republic (19, Itaewon-ro 14-gil, Yongsan-gu, Seoul) or Maple Tree House Itaewon (116-1 Itaewon-dong, Yongsan-gu, Seoul). This is a product of American influence during the war. 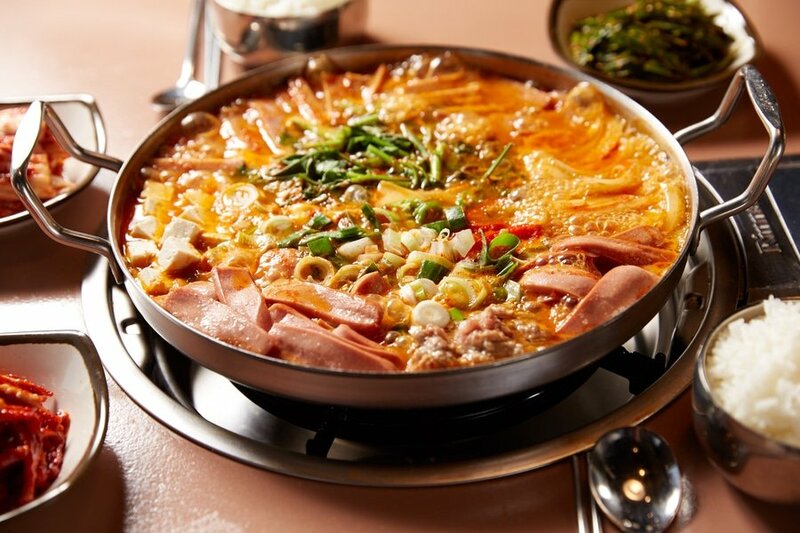 A sizzling and cheap soup, this is one of the most popular soup dishes in Korea. Spam, hot dogs, ramen noodles, beans, and kimchi give this dish the comforting and unique flavor it is famous for. While I am not personally a fan of kimchi jjigae, or kimchi at all for that fact, it cannot be ignored that this is a Korean staple. Kimchi is eaten multiple times daily, so it is no surprise there is a kimchi soup! This spicy soup is a mix of tofu, kimchi and other spices. Try eating it on an infamously cold Seoul day to warm yourself up! 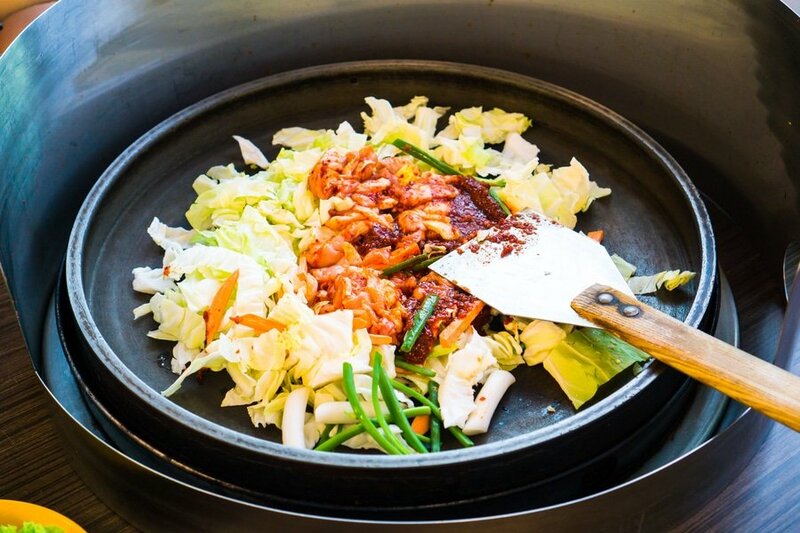 My favorite dish while living in Korea, Dak-galbi is a spicy chicken dish cooked on a sizzling pan at your table. Spicy chicken along with green onions, potatoes, rice cakes, and cabbage make this dish as delicious as it is addictive! Where to eat dak-galbi in Seoul: try Chuncheonjip Dakgalbi (57-8, Changcheon-dong | 1F, Seoul) for some of the best dakgabli in the city! The spicy rice cakes are a delicious snack and famous street food you can find while wandering Seoul! 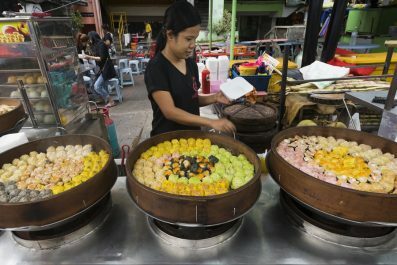 You can find this food served on a stick and fried or served in a bowl and doused in the delicious sauce. Gimpbap (also spelled Kimbap) is one of the best and easiest meals to eat on the go in Korea. Made of steamed rice and other ingredients, it is wrapped up in ‘gim’ (dried seaweed). There are many variations of this delicious and fresh meal. 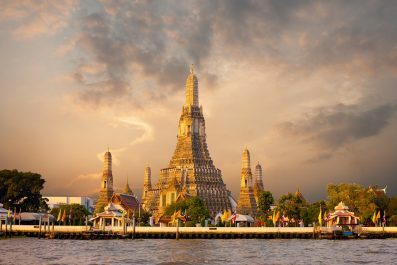 It can be found in both restaurants and convenience stores like Seven-Eleven. It is often eaten while picnicking on a sunny day with family and friends! Just as fun as it is to say as it is to eat, Bibimbap is another stable not to miss while traveling South Korea! It literally translated to mean ‘mixed rice’. Incorporating Korean stables such as rice and kimchi, this dish is served sizzling in a warm bowl and topped with ingredients like sprouts, carrots, bulgogi, and red pepper paste. As you’ll notice, rice and kimchi are staples in most Korean dishes. While every food has it’s own twist and flavors, many of the ingredients are used over and over again. 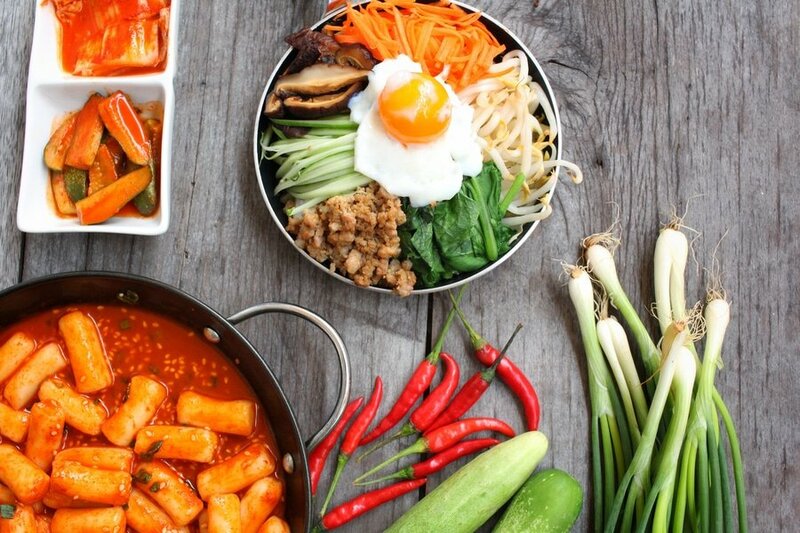 Korean food is full of flavor, spices, and made from the heart. 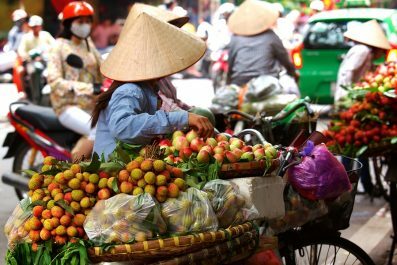 Whether you are visiting the country for business or leisure, you’ll be sure to leave with a happy and full stomach! Have you tried any of the seven foods in Seoul? Do you have any tips or suggestions to share? If so, you can leave your comments below.